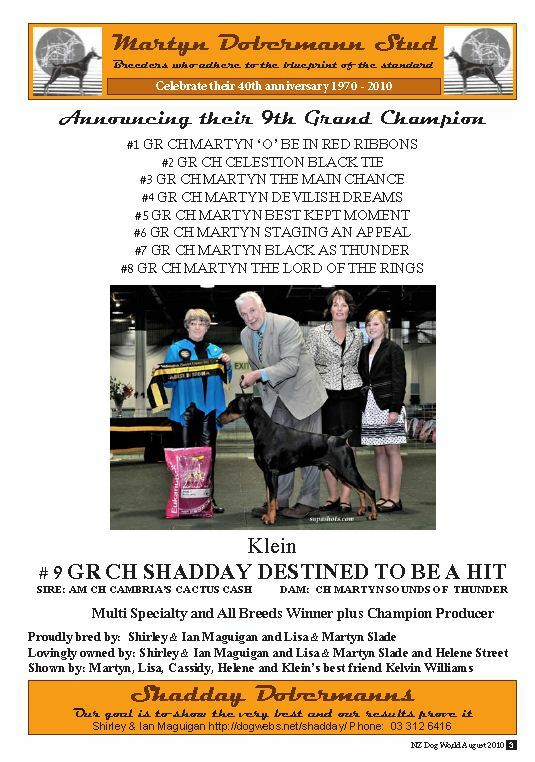 One more BIS required to gain his Supreme Title. 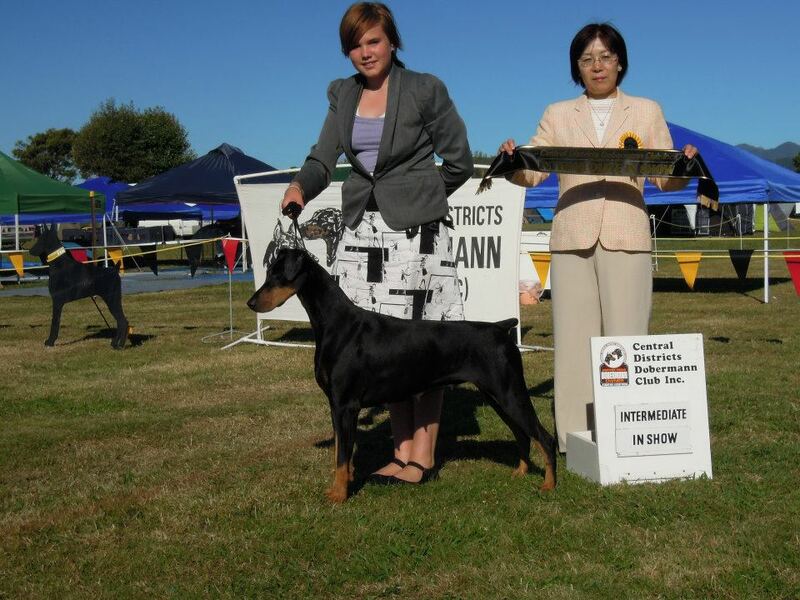 co-owned with Sam Hedges, at the Horowhenua Kennel Club Show on the 15th Feb 15. 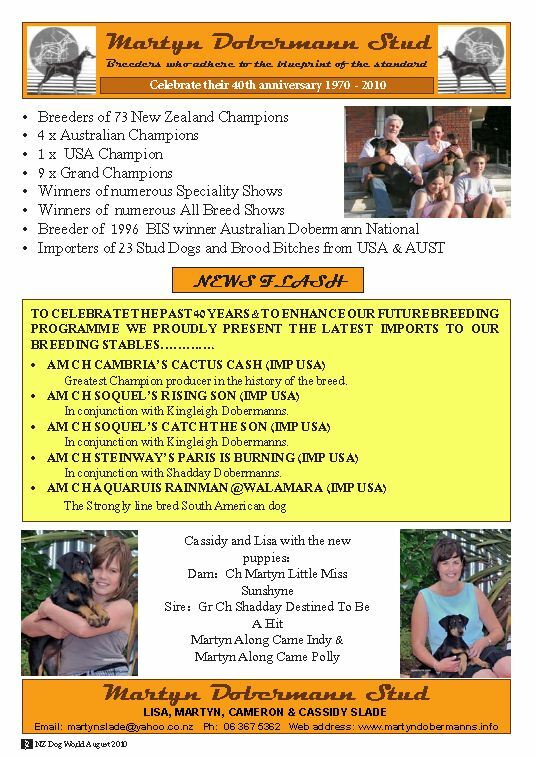 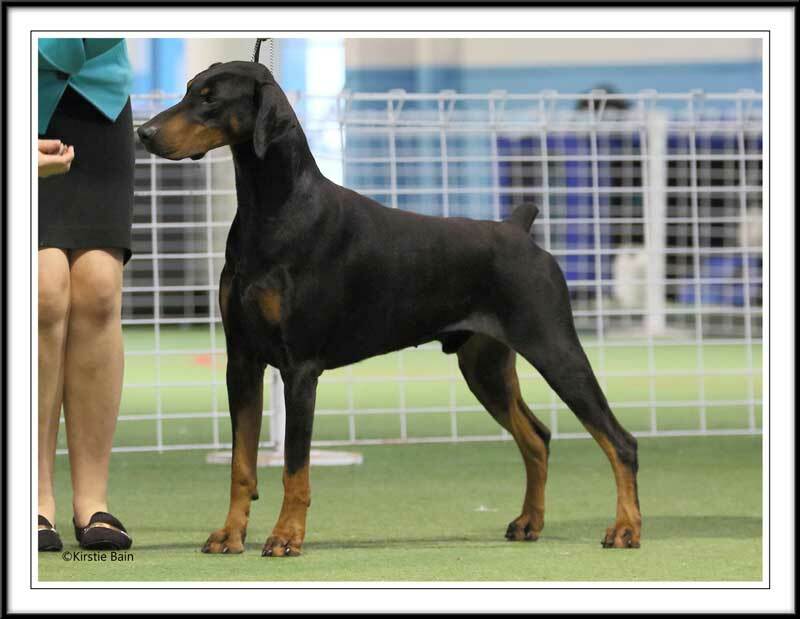 Sire: Am Ch Cambria's Omen Dam: Ch Martyn Riding the Wave at Parima. 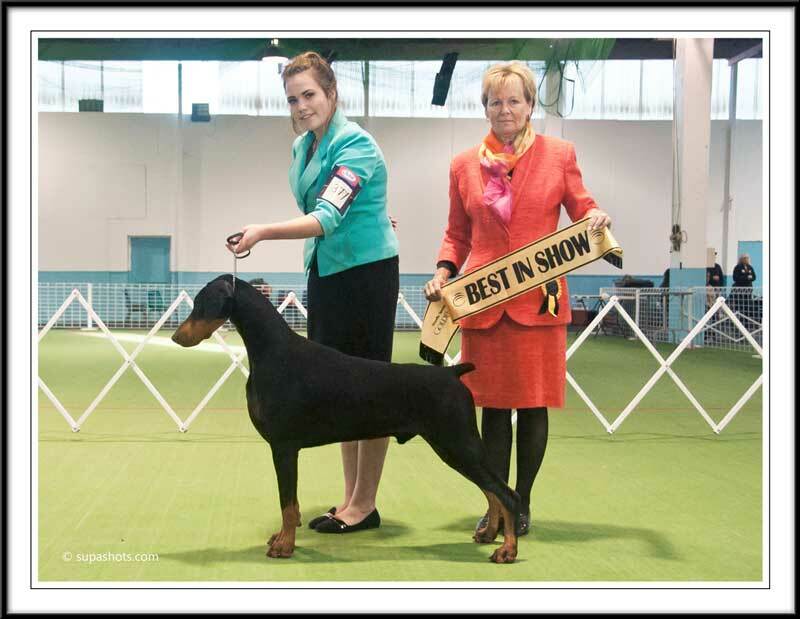 Sister "Karmah" goes BIS at East Coast Ladies for her 1st BIS! 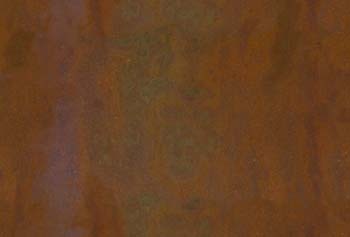 Indy now has 30 plus challenges. 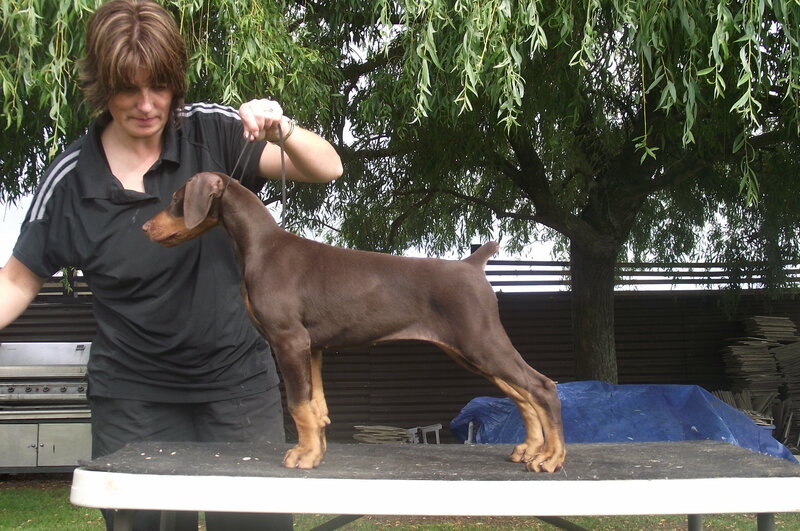 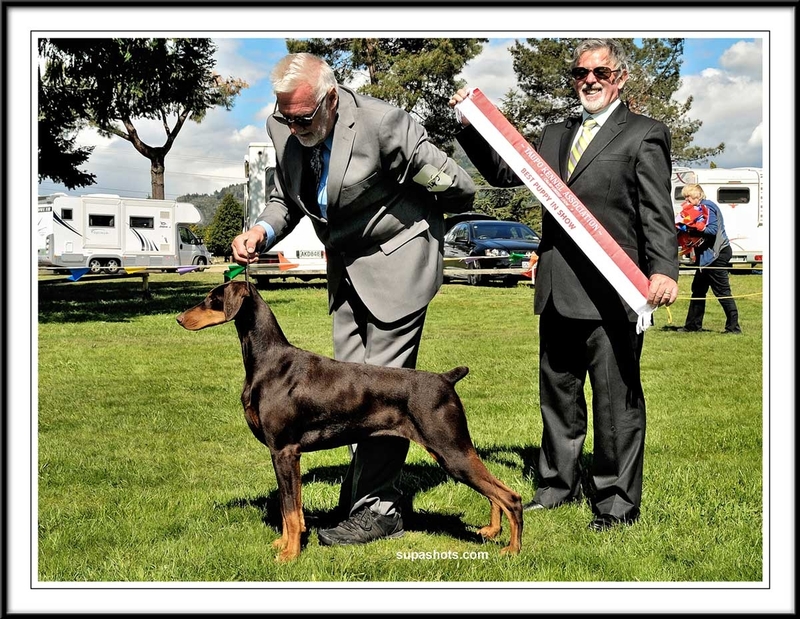 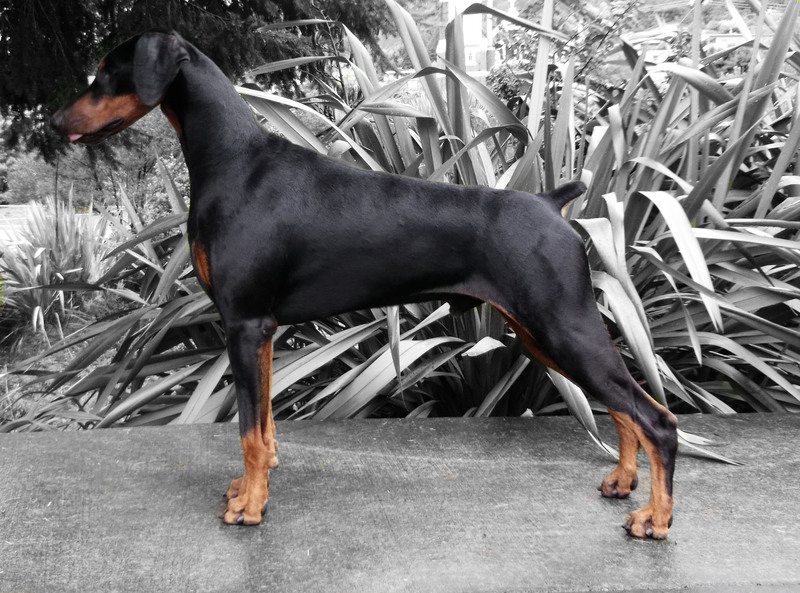 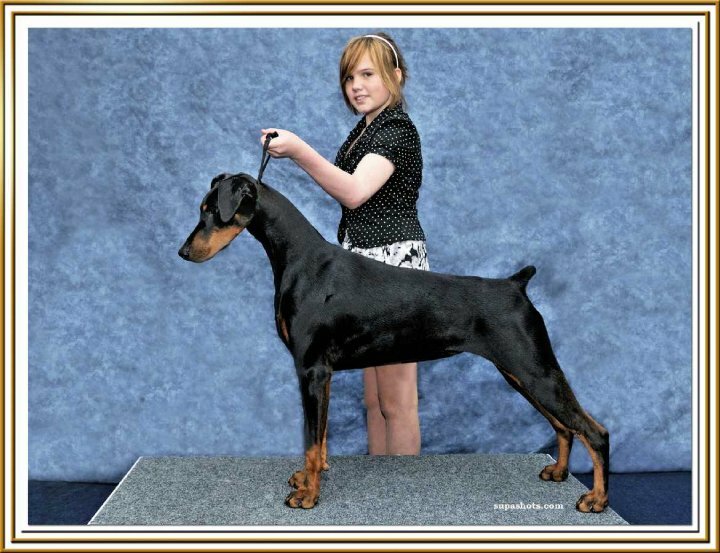 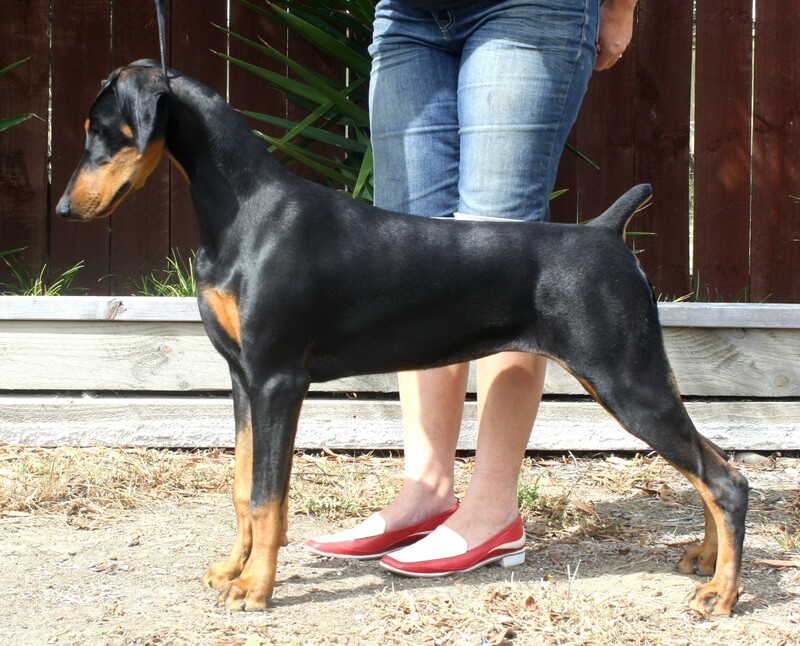 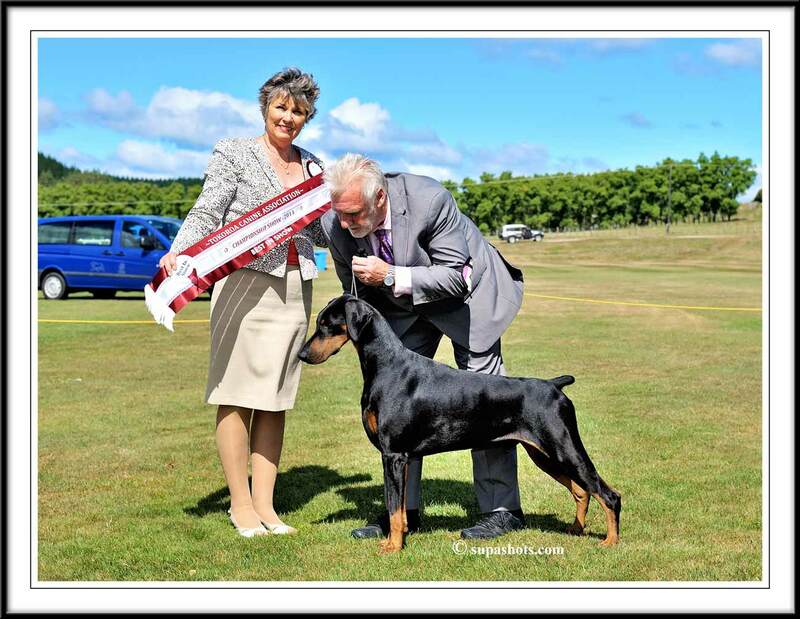 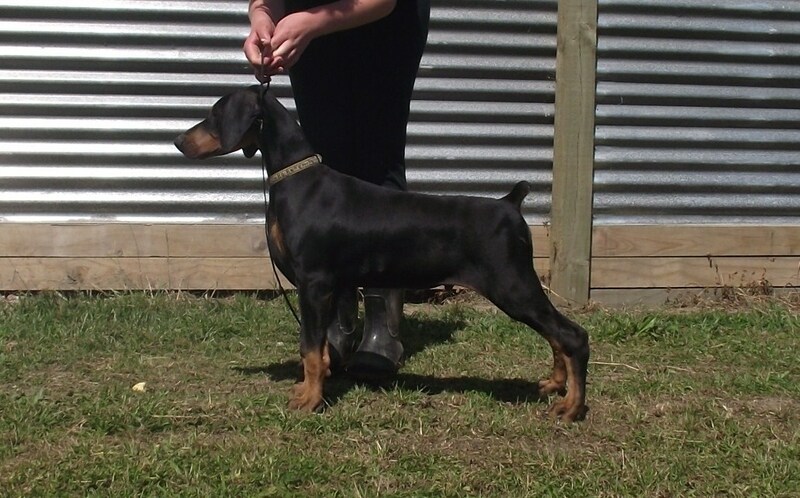 Goes Best Baby Puppy In Show at the CDDC specialty show& also won Most promising under 2 years old at only 4 months, under respected specailty judge Mariko Harase from the famous Harase Garten dobermann kennels, Japan. 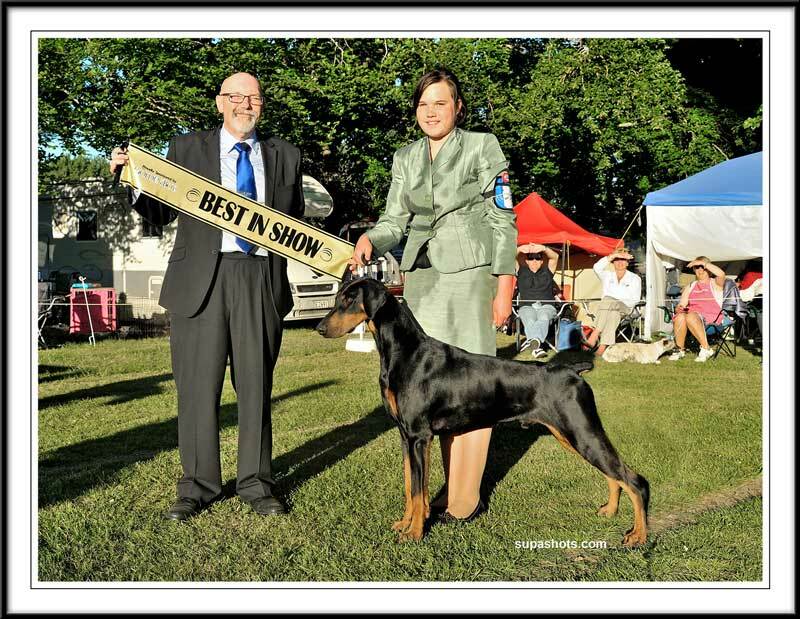 Under respected specailty judge Mariko Harase from the famous Harase Garten dobermann kennels, Japan.